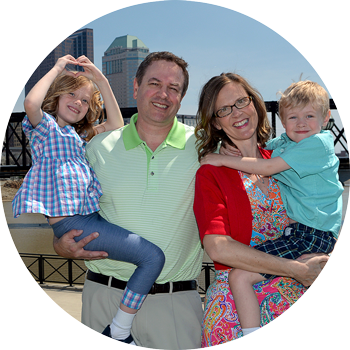 During our recent visit to Cincinnati, we made sure we crossed the Ohio River into Kentucky and scheduled a visit to the Newport Aquarium, billed as one of the top aquariums in the country. We were glad we did. After spending a few hours making our way through the winding subterranean seascape, we felt it was perhaps the best aquarium we’ve ever visited. As its name suggests, the aquarium is located in Newport, just across the Newport Southbank Bridge from Cincinnati. This is the “Purple People Bridge,” so named because it’s pedestrian-only and (you guessed it) is lighted purple at night. Of course, there are plenty of other bridges to drive across from Cincinnati to Kentucky if you prefer, the closest being highway I-471, known as the Daniel Carter Beard Bridge. Parking was readily available (and affordable) outside the aquarium. The attraction is part of Newport on the Levee, a shopping and dining attraction that has lots of restaurants and stores, a movie theater, a bowling alley and even a “fish spa” called Garra. Why did we like Newport Aquarium so much? 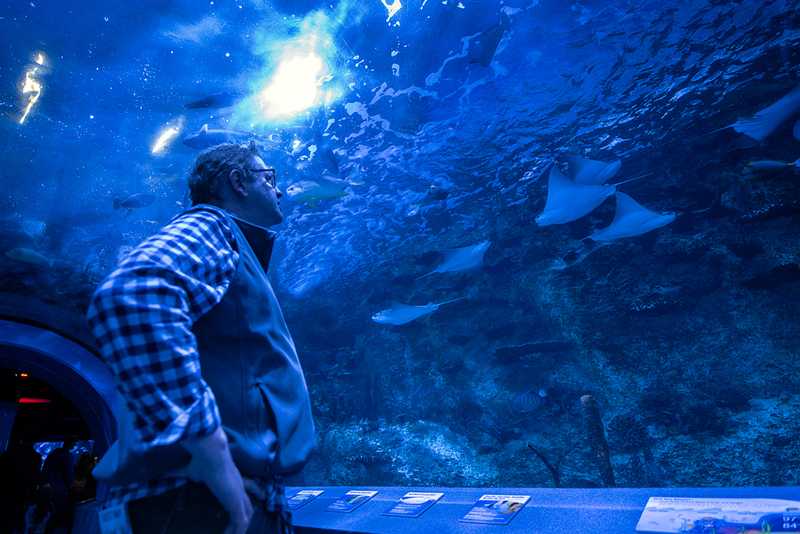 Let’s start out with what you can see – more than 65 exhibits containing hundreds of aquatic species in 1 million gallons of salt and fresh water. The aquarium felt almost like a museum, albeit a crowded one. 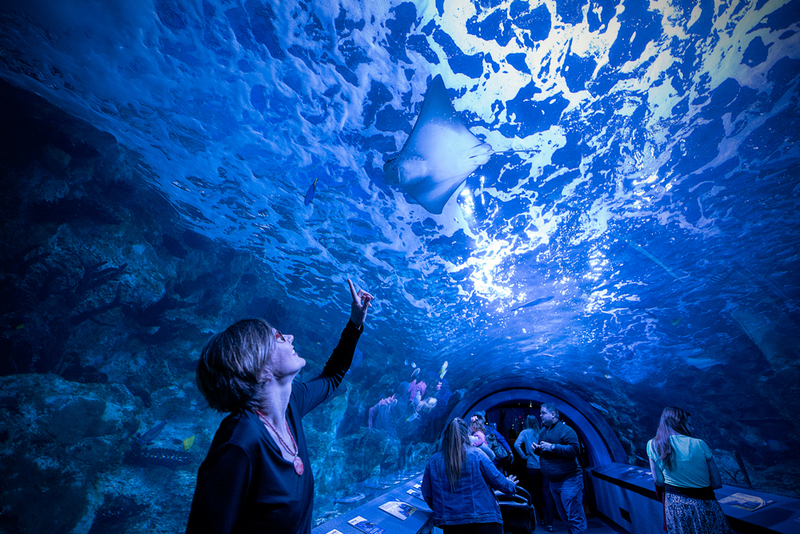 We liked the clever reuse of the shark tank, allowing visitors to first go through it via a long tunnel, then ending the aquarium’s circuitous trek by walking over the open tank on a daredevilish bridge (that was fully netted). 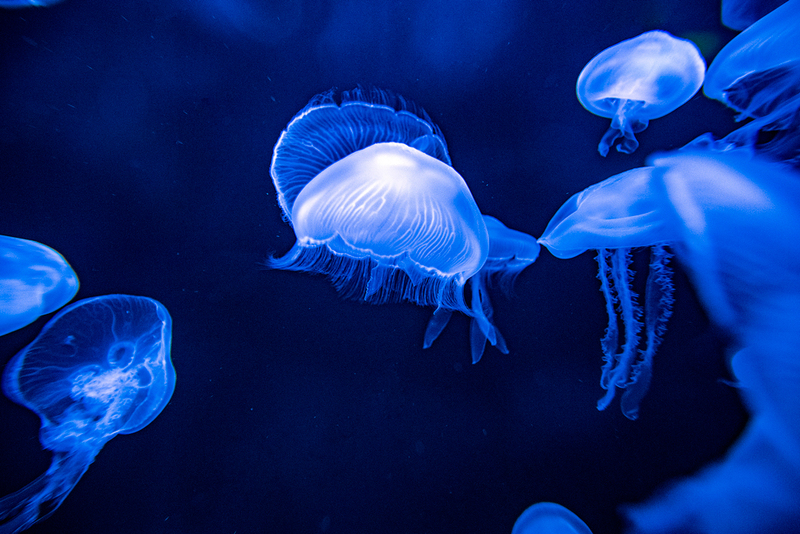 Maybe it was the opportunity to see things we hadn’t seen before – like a white alligator that apparently gets along with turtles, and a giant Pacific octopus, which has the ability to camouflage itself and change its shape. We also enjoyed the huge arapaima, one of the world’s largest freshwater fishes, which trolls the Amazon River. 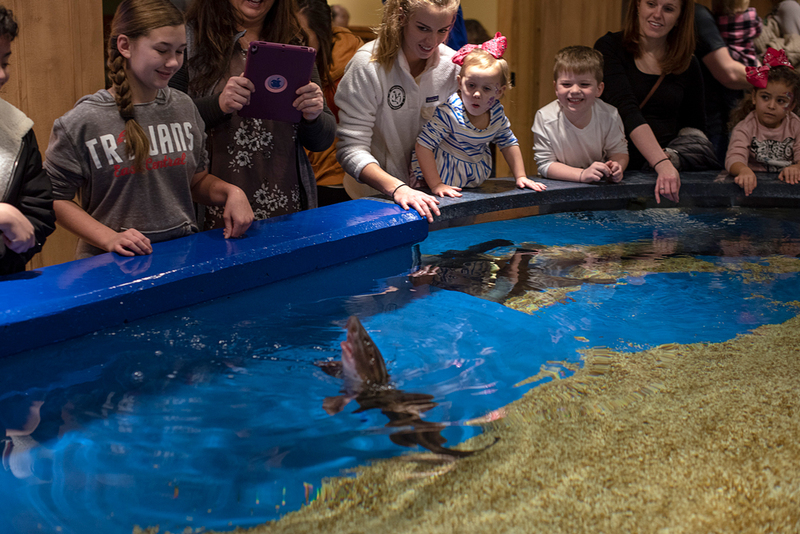 Visitors also can view seahorses in a large tank and go eye-to-eye with a penguin swimming under water. Rosie and Max got a thrill by interacting with some of the sea life. 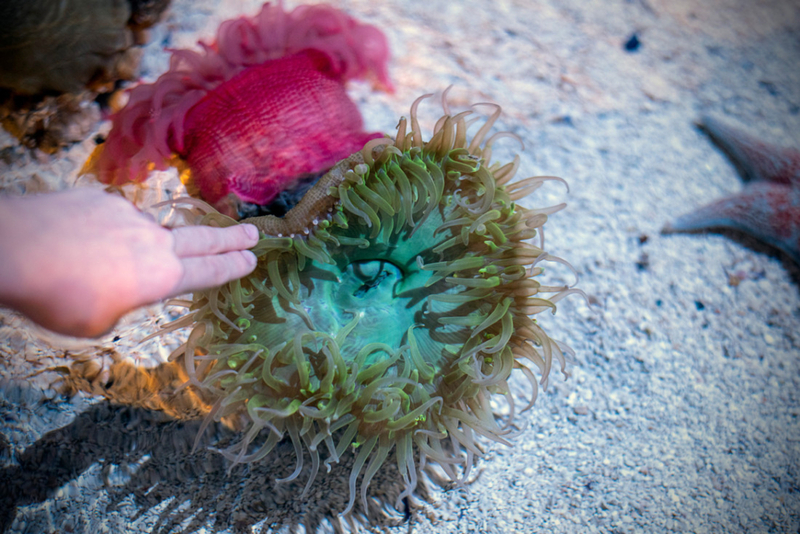 They were able to touch a sea anemone, a horseshoe crab and a baby shark, then pop their heads through a porthole to see stingrays swimming around them. 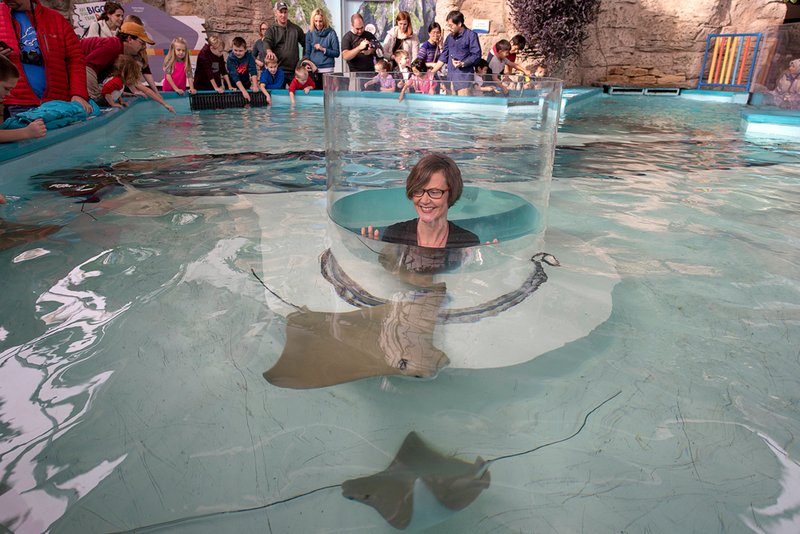 It was these collective experiences that made Newport Aquarium memorable. We did find that the passageways were sometimes a bit narrow for all the people there. This is one popular attraction, so if you can, try to visit during the week. 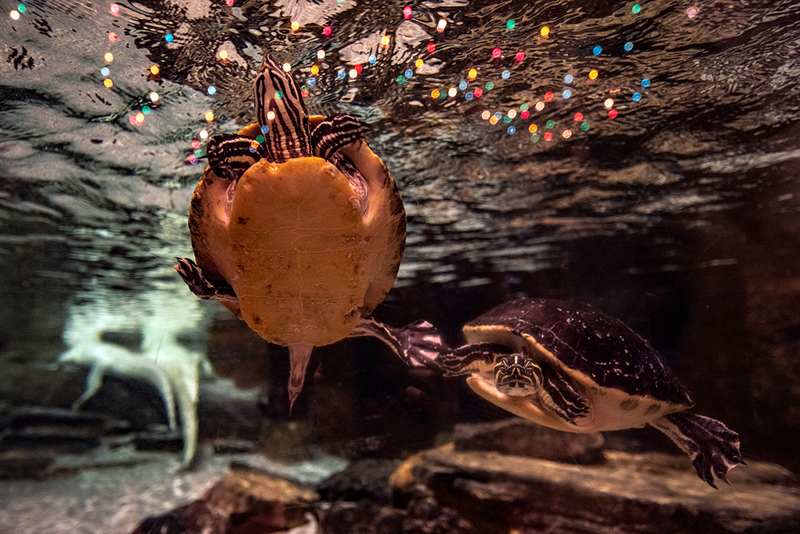 There’s plenty of opportunity – Newport Aquarium is open to the public 365 days a year. We’re already looking forward to our next visit. The Newport Aquarium is located at One Aquarium Way, Newport, Ky. Learn more at www.newportaquarium.com.